Synology has announced the Virtual Machine Manager Pro, just 6 months after the official launch of Virtual Machine Manager, an application that allows users to run Windows, Linux and Virtual DSM on top of their Synology NAS. Synology claim the the Virtual Machine Manager Pro makes high-end, enterprise-exclusive, hyper-converged infrastructures available on a NAS, making it a cost effective solution for businesses. As an add-on package on Synology NAS, Virtual Machine Manager Pro is intended to turn Synology NAS into an ideal virtualisation one stop shop with well-integrated hardware, software and data protection solutions. Compared with 32 retainable snapshots in the standard version, Virtual Machine Manager Pro allows users to retain up to 255 snapshots for better data protection. In the Pro version, users can replicate snapshots of virtual machines to a remote server for maximal data availability. 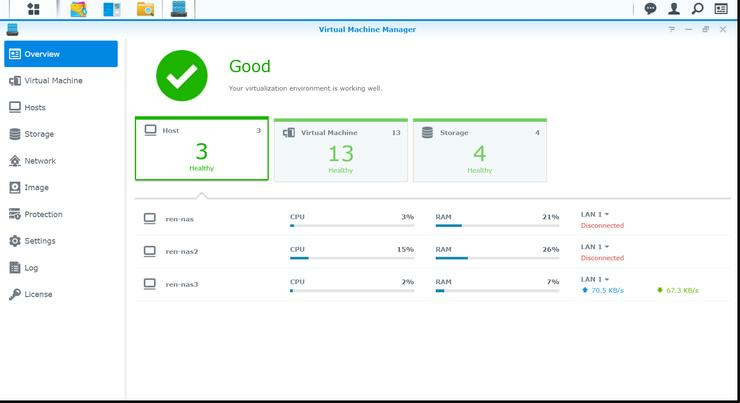 Synology also say the new Virtual Machine Manager Pro provides an even more streamlined experience with its disaster recovery solutions, ensuring maximal service uptime.